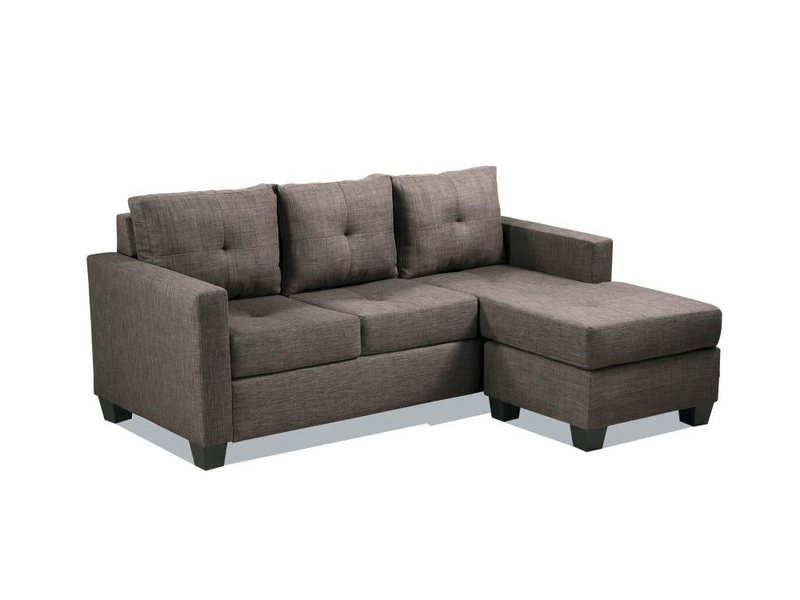 Rent the Lia Sectional created for a more compact living room. 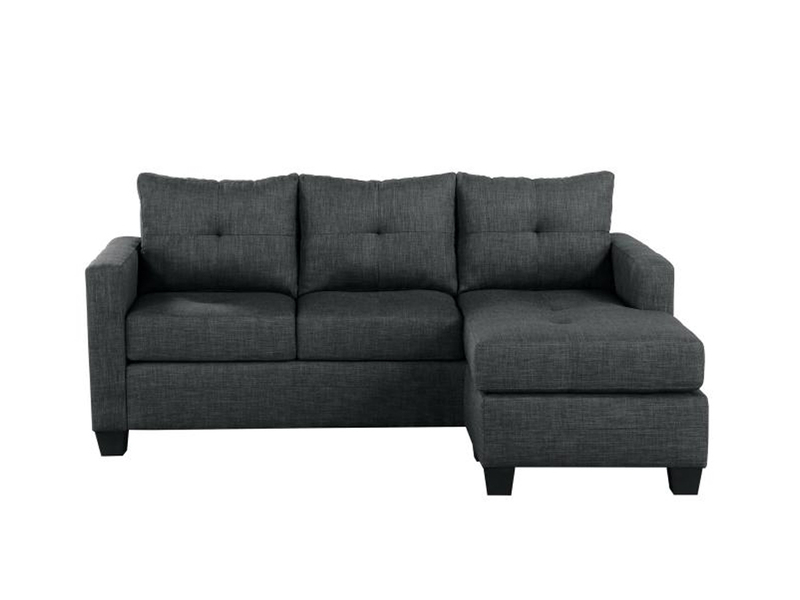 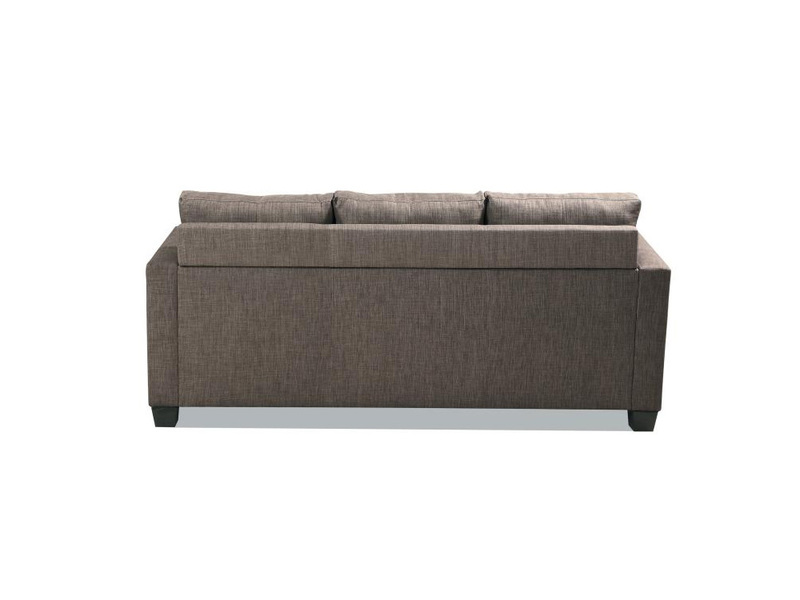 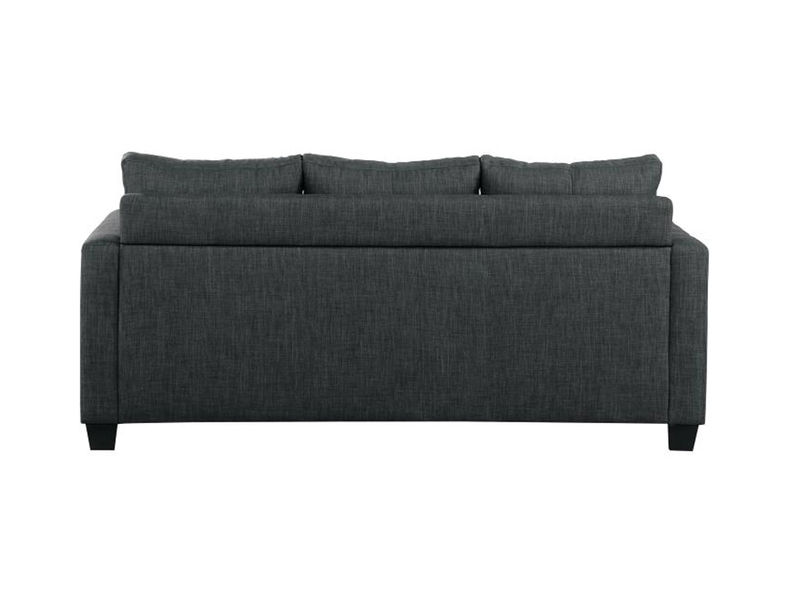 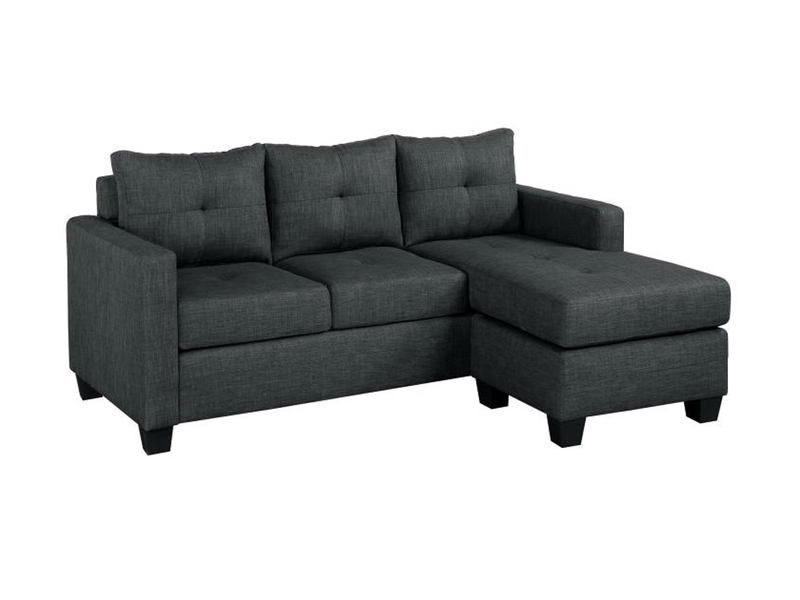 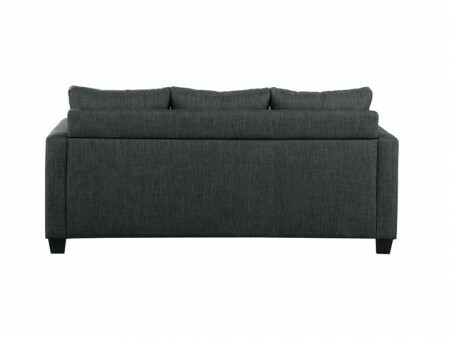 This heather grey upholstered couch is a versatile and comfortable option. 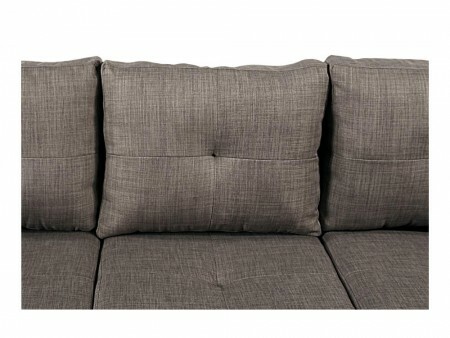 The subtle hue of the fabric is ideal for adding bold or patterned decorative pillows. The sectional makes it easy to combine with any shape of side table and coffee table. 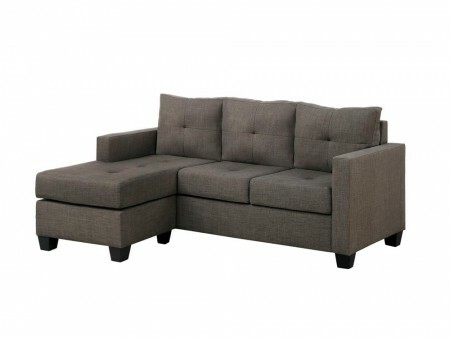 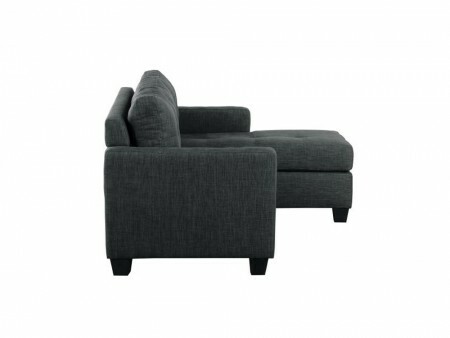 The detachable back cushions are slightly tufted and mold nicely to your body for comfort. 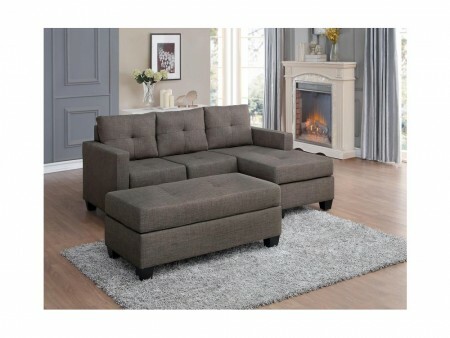 The chaise section of the sectional is also detachable for easy assembly. 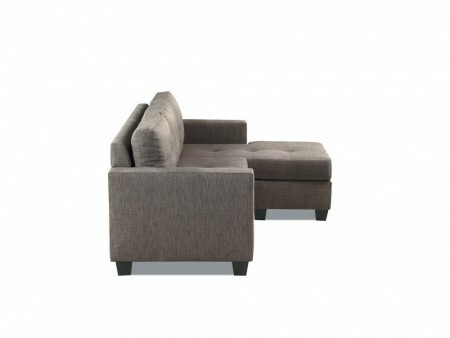 The Lia seats 3 people and can be matched with our diverse collection of rental accent chairs.